Five years after making his big screen bow, Chris Evans’ patriotic do-gooder continues to stand out in a world of antiheroes. Captain America: Civil War, the latest constellation point in Marvel’s Cinematic Universe, marks Chris Evans’ fifth outing as square-jawed boy scout Steve Rogers. 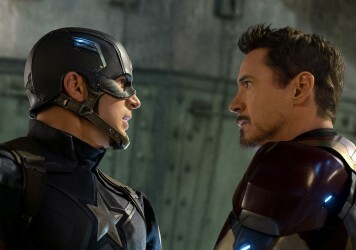 But while the tone of the character has darkened over the course of the series, Cap remains the moral heart of The Avengers, correcting Tony Stark on his language and reminding everyone of their duties to protect innocent people. You can question his reasoning (as Stark and many others do), but you can’t argue with his motives – Captain America is a good guy. The character may have recently passed his 75th anniversary, but it’s that quality – doing good for the sake of doing good – that makes him an anomaly in the ever-expanding world of cinematic superheroes. Iron Man is in many ways a classic antihero, a sarcastic, cynical arms dealer with PTSD and a penchant for partying. While Disney and Marvel Studios have so far stopped short of portraying the ‘Demon in a Bottle’ alcoholism storyline from the comics, on screen Stark has always been something of a loose cannon, the perfect foil to Rogers’ true-blue inscrutability. There are several other examples of this across the MCU – there’s the tortured souls of Wolverine and The Hulk; Black Widow’s terrible past; Thor’s family issues; even the bookish Peter Parker takes to the streets motivated by the death of Uncle Ben. Meanwhile, over at DC, Batman’s vigilantism has always been ethically ambiguous – Ben Affleck’s Dark Knight is prone to branding criminals and, to paraphrase Heath Ledger’s Joker, breaking his “One Rule”. 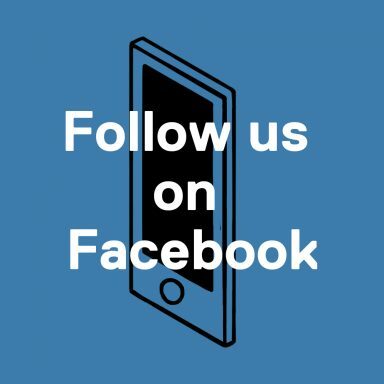 In this cynical age it’s understandable – even logical – that this is the new norm. 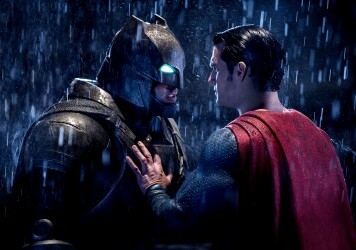 Just as the comic books that inspired them evolved over time, so the biggest superhero movies have become more morally complex. So where does that leave a do-gooder like Captain America? 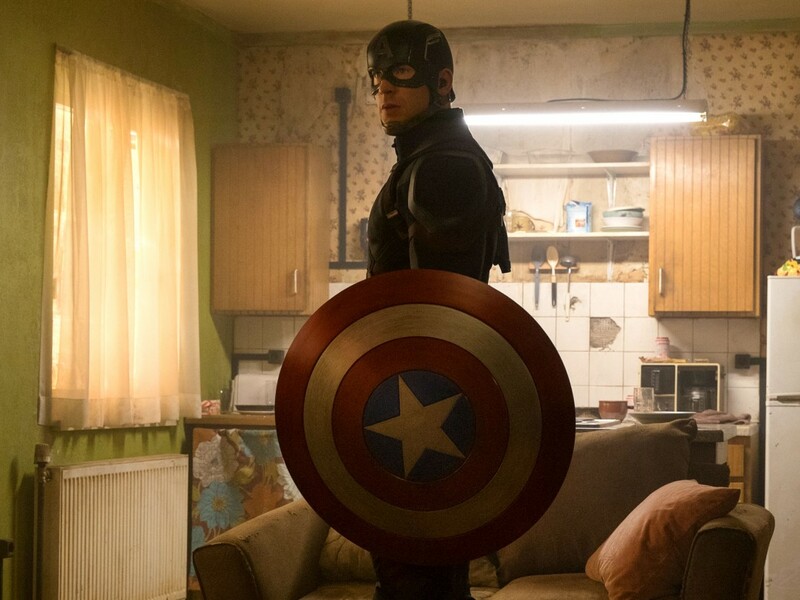 Chris Evans was ‘A Man Out of Time’ in more ways than one when he first donned the shield in 2011’s The First Avenger. And yet, it worked – and continues to work. A product of the ‘Greatest Generation’ ideal of selfless service and doing your bit, he is introduced as an underdog desperate to join the fight when war is declared; not out of revenge or to seek catharsis but because it’s the right thing to do. A jump in time allowed for a seamless change in tone for the 2013 sequel Winter Soldier, a film that evokes the paranoid thrillers on which co-star Robert Redford built his career in the ’70s. Still, Evans’ Rogers remained steadfast, upholding his belief that those in positions of power will act honourably and rationally when the time comes. In Civil War he stretches that belief to breaking point, facing off against his fellow Avengers to protect both his freedom and his friends. As he valiantly declares in the trailer, “We try to save as many people as we can. Sometimes that doesn’t mean everybody, but you don’t give up.” It’s an old fashioned philosophy, but one that provides the basis for arguably the most interesting Marvel franchise instalment since the first Iron Man movie. Maybe the antihero will always be more appealing, or more relatable. But in an arena dominated by flawed protagonists, Evans’ Avenger continues to stand out. For now at least, it appears the nice guy finished first. 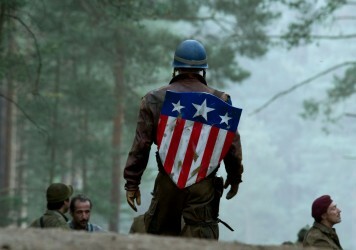 The first Avenger is a patriotic symbol of Us vs Them politics in the Marvel Cinematic Universe.